Every now and then you run across something that makes so much sense you wonder why you haven't seen it before. 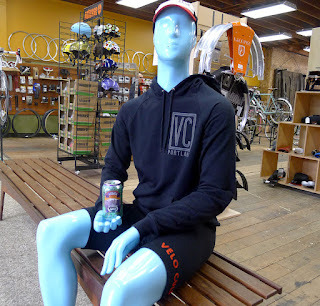 The recently opened Velo Cult in the Hollywood District (across the street from the Moon and Sixpence) is that kind of concept. 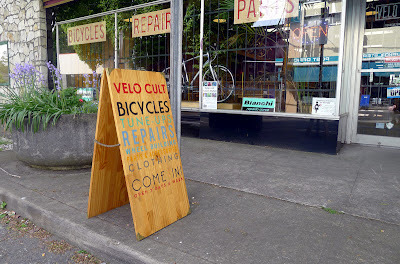 Velo Cult is a bike shop that serves up a nice selection of craft beer in a comfortable setting. The roomy space on 42nd Avenue will also host regular special events that include live music, movies, race viewings, dinners, meetings and more. Obviously, a variety of rides will start and end here. Owner Sky Boyer started Velo Cult more than five years ago. But not in Portland. The business was born in San Diego. And it did well. But at some point Boyer and his employees reckoned Portland was where they wanted and needed to be. "From a cultural and ideological standpoint, Portland is just a better fit for us," Boyer says. "Nothing against San Diego, which is a great city." So they shut down the San Diego operation and moved. Challenges remained. When his employees arrived in Portland in early January, Boyer had still not been able to find a suitable venue for the store. "Finding the right space was a challenge," he recalls. "I had spent plenty of time looking and nothing was quite right. Right after my people arrived here, I found this place. I signed a lease virtually on the spot and we started making it ready for business." That took several months and a massive amount of work. The space previously housed an antique museum with countless display areas. All that had to be removed. There were issues with layers of floor material that had to be torn up. The lighting had to be changed. And so on. During the demolition and construction, Boyer's vision of what the store should be changed slightly. The amount of space (5,000 sq ft) gave him a lot of flexibility in terms of how to organize things. The bar area, in particular, became a sort of pivot point. 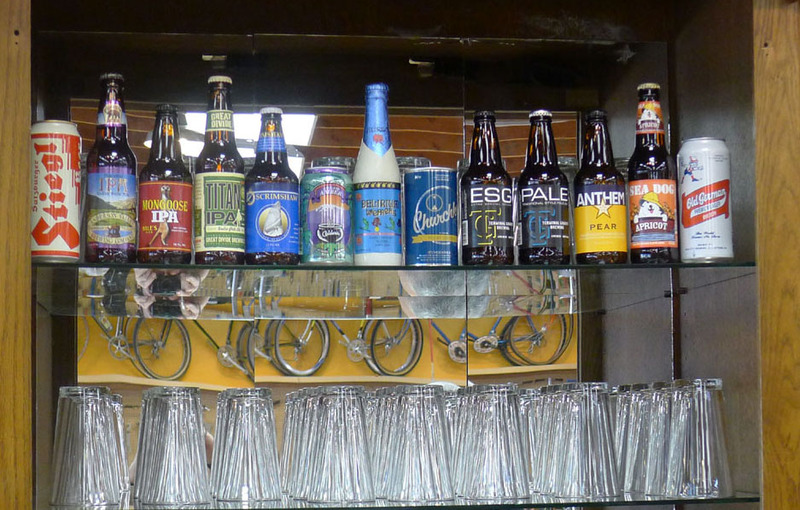 "We had always planned to serve beer," Boyer says. "We served beer in San Diego. But it was small scale. During the construction here, we all realized the bar area could be large and comfortable without taking anything away from the store. In fact, it probably adds to to appeal." From a retail standpoint, the arrangement is odd. 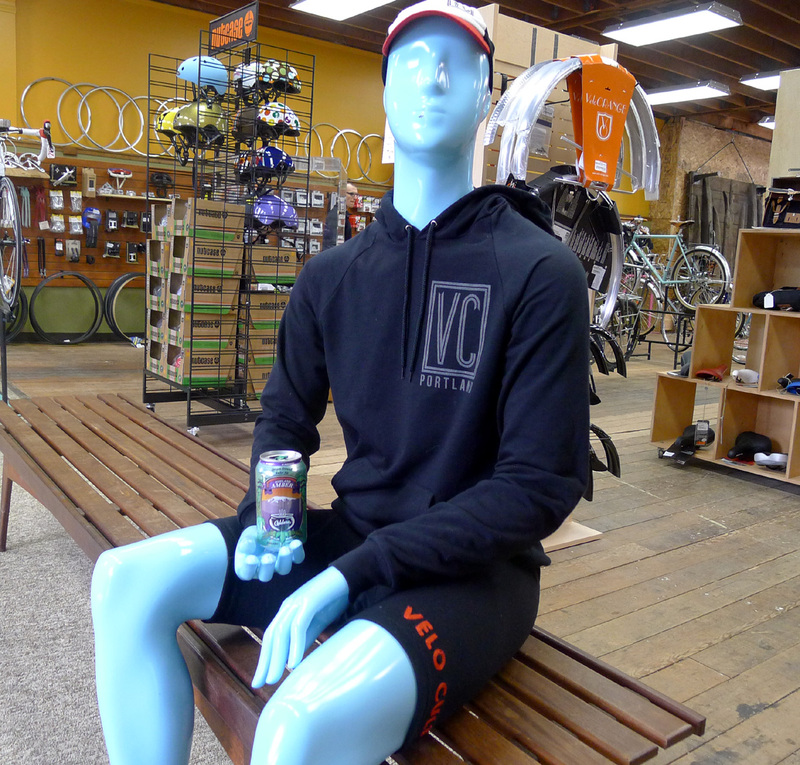 Velo Cult carries a selection of bikes, apparel and related accessories. Those items occupy the rear of the store. Up front, there's the bar and a large table covered with literature. It screams out: Have a beer or a coffee! Sit a spell and relax! The scoop with the beer is simple: Boyer will soon have three rotating taps to go with a nice selection of cans and bottles. He plans to keep different beers rolling through those taps. What's the holdup? He's waiting on a permit that will allow him to install a sink. No draft beer until that happens...probably a few weeks. Food is also on the agenda. Boyer plans to offer a line of tamales with authentic seasonings and sauces, leaning heavily on the San Diego connection. 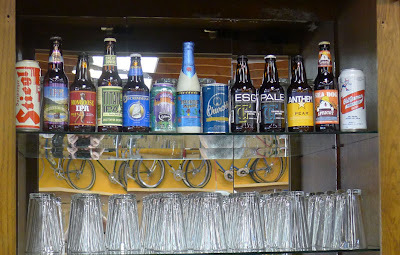 It's evident in my mind that Hopworks is Portland's champion of combining cycling and good beer. 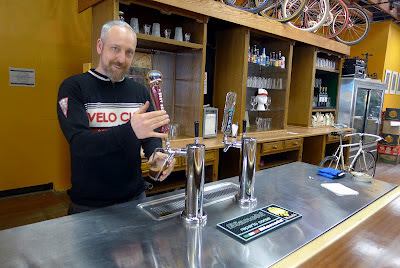 They are decidedly a brewery/pub with a strong cycling connection. 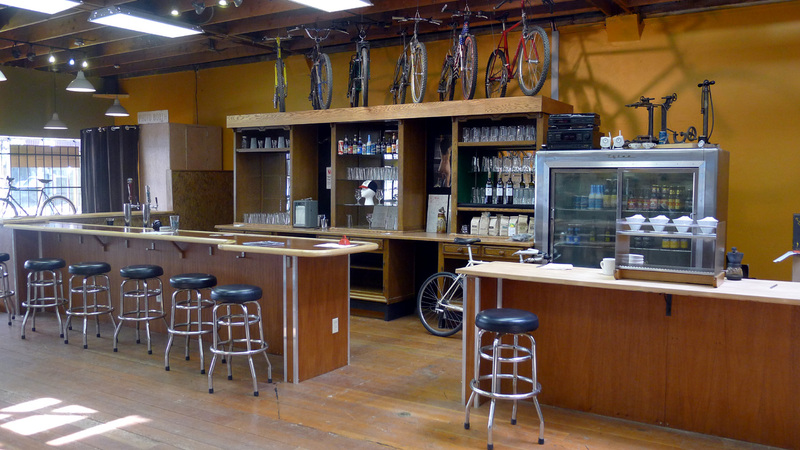 Velo Cult is taking that concept in a slightly different direction by combining a bike shop with small scale pub. The idea has Portland written all over it.